Cimmaron has entertained and offered listeners country music with an edge doing it their way, with a combination of kickin' traditional, Outlaw rockin' country music that reflects the varied backgrounds of the band members. 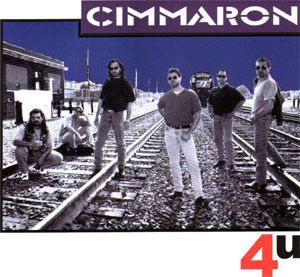 Cimmaron has performed nationally at Venues as broad as Boulder Station Casino in Las Vegas, Nevada to Disney World's Armadillos Saloon in Florida. While the band is always busy performing at State Fairs and Festivals across the country, they always make time to continue to fine tune their distinct sound by appearing in hundreds of Night Clubs and Honky Tonks from Coast to Coast. The Band has deep-set roots in these smoke filled clubs and thrives on the response of a rowdy, excited live audience large or small.